On a bright Friday afternoon Fort Adams State Park filled with fans young and old for the 55th annual Newport Folk Festival. White sailboats floated in the bay, onlookers catching songs as they drifted over the water. With four stages around the 215-year-old fortress and a lineup of 24 acts slated to play all day, it was like speed dating bands. No complaints. Sounding somewhere between Tom Morello and Jimmy Page, Reignwolf, aka Jordan Cook, turned his amp to 11 and sent waves through Newport Harbor. Reignwolf prowled around stage in front of his band, howling gritty blues numbers to a spellbound audience. “All right if I come out there?” he asked, midway through the set, bringing his electric guitar into the crowd to play among the people. He may as well have been asking if everyone would like free booze. Reignwolf carries an Iggy-Pop arrogance for someone who hasn’t even released an album yet, though he has supported on tour big names such as Black Sabbath and The Pixies. Soul-sizzling, sweat-dripping, with a not-far-from-feral demeanor, Reignwolf simply knew he rocked. He’s probably still signing autographs. Dare: Watch Jimmy Cliff perform and don’t feel happy. A music icon, Cliff helped popularize reggae music worldwide in 1972 by starring in and providing the soundtrack for Jamaican crime film The Harder They Come. His exuberance and positive energy lifted hands and had people singing along. At one point during a song Cliff began naming Egyptian gods. With the energy he brings, he can say whatever he wants, and it will work. Deadheads and hippies turned up to pay their dues to a legend, but Hunter fell flat, strangling the beautiful lyrics he birthed decades ago. The mood was one of appreciating his body of work and not celebrating the performance. To be fair, he is 73, but then again, Jimmy Cliff was practically doing cartwheels on stage, and he’s getting up there. 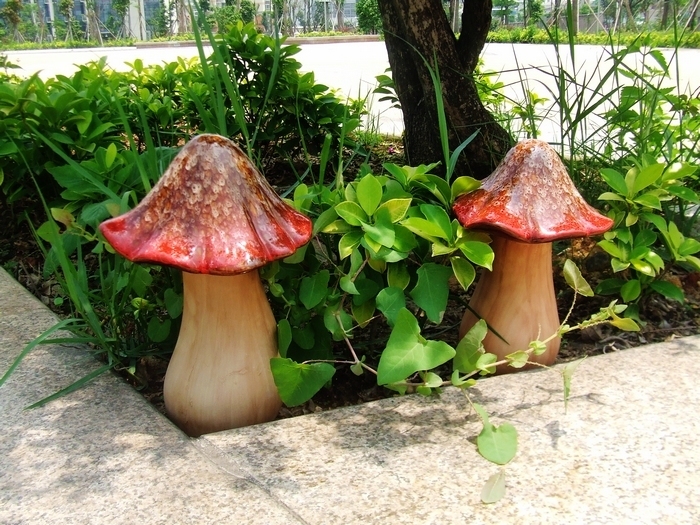 People lost interest, wandering away to stuff their faces with fried dough or buy ornamental ceramic lawn mushrooms. Hunter, who was playing on the Harbor Stage, perhaps should have been slotted for the Museum Stage, a smaller, more intimate setting inside Fort Adams’ Museum of Yachting. Or maybe at this point in his career he should just be an exhibit within the museum, a relic of lyrical brilliance. What a long, strange set it was. Boston’s own Lake Street Dive brought their soulful songs to Newport, playing mostly tracks off their 2014 album, Bad Self Portraits. Formed in 2004 at New England Conservatory, Lake Street Dive combines elements of soul, jazz, and R&B, led by singer Rachel Price, whose stage presence is as equally commanding as her vocal ability. Her on-stage hip swinging, shoulder shaking, and ‘bow throwing was infectious, as crowd members couldn’t help but get up and dance. In “Neighbor Song” Price sang, “I can hear my neighbors making love upstairs / Their love is amplifying all of my despair.” Multi-instrumentalist Mike Olson tooted a trumpet solo that could have been the sound of love being made upstairs. For a ten-year-old band, LSD has only recently received national attention. Performances like this one should help their spotlight continue to widen. Despite the lingering image of Chris Pratt frontmanning Bear’s Den, their music itself is at once melancholic and hopeful. Their songs permeated the entire hall, the audience sitting on the edges of plastic folding chairs, leaning forward to soak in every ounce of reverb-washed guitar strokes. The band’s first time in Rhode Island, Haynes remarked, “It’s a lovely state.” Though Newport is a poor reflection of the state as a whole (pretty sure maids live in mansions here), no doubt Rhode Islanders will welcome Bear’s Den back with open arms. His music, however, was as plain as a bagel. Adams’ solos were meandering and lengthy, his song structures straight-ahead like a set of math problems that all had the same answer. Appropriately, Adams played “Stay With Me,” a song off his forthcoming eponymous 14th studio album. “There are so many of you, just don’t push around!” Adams cooed to the crowd, who sat on blankets staring placidly back at him. Regardless of his awkward stage banter, his easy-listening songs were a suitable fit for drained fans at the end of a packed day.